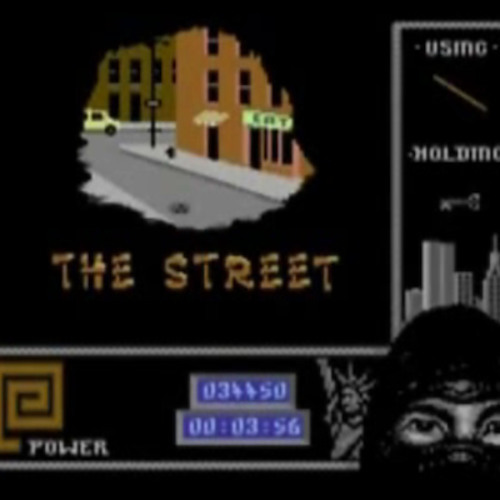 Preview version of the remake for The Street Loader soundtrack from System 3's classic C64 Last Ninja 2 game. Full version to be releasead on the forthcoming Matt Gray album Reformation. This is one of my favourite tunes of all time, regardless of genre, and you've done a fine job restoring it. However, I would say that the beats (initially) are a bit on the hip-hop/street heavy side and that the original SID sounds that are kept in the background ought to be accentuated - don't tone down the melody, for it is truly outstanding when it's allowed to shine. Finally, the last comeback @3:02 is too weak and just sounds like the drum beat being resumed (In the original this part made me feel like the hero was beaten to the ground, but through a fierce boost of energy managed to get back up on his feet again and continue the fight). All the best. I'm thinking this is my favourite LN2 track remake so far!! It's wonderful! this could be a great music for a movie soundtrack... Is there anyone who has thought about a movie version of The LN2 game? @alchemydk: I agree that the bass should be ramped up too at the beginning. Besides that little tweak, perfect! My FAVORITE moment of the original. So powerful. Please the saw-wave up the OOPMPH and let it shatter peoples' eardrums! This may be my favourite of your LN2 remakes, so far. Wow. Agreed with the initial bass being way too soft, that used to rattle my TV (I loved that!) and was critical to how the tune announced itself. The rest of the track is fantastic though and forceful in the right way. This is just simply exquisite - someone make a Last Ninja movie in the style of Kung Fury and get this man to soundtrack the whole thing! @daniel-m-bener: I'm sharing this opinion 100%. Love how things kick off again here! Drums are perfect (IMHO)! Love the drums when things kick off here! Would love it if the bass had more punch when it first chimes in. IMHO, it's a bit too soft.